my last month in Nova Scotia has gone by, which was December and that meant: Christmas! or when you can just get cozy on the couch with a hot drink, a christmas movie and friends. This year Christmas was different than to what I'm used to tough. 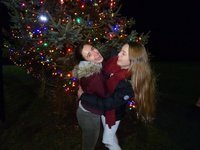 In Germany Christmas is celebrated on the 24th, in the night, which is different from the Canadian tradition. 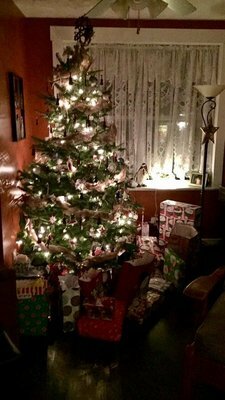 In Canada the 24th is Christmas Eve and in the morning of the 25th is Christmas Morning on which you open your present and usually a Christmas Dinner is following, later that day. This wasn't the only difference to the past years that I celebrated Christmas. 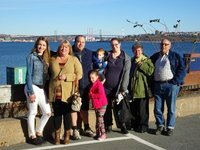 This year was the first year I spent apart from my family around that time, but my second family here in Nova Scotia made us such a nice Christmas, so that we missed our families a little bit less. Right at the beginning of December it started to snow a lot. 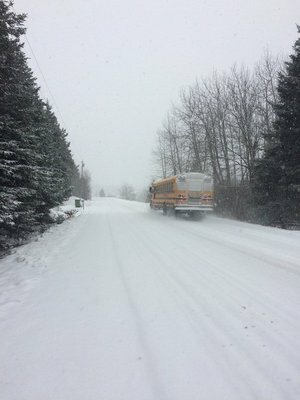 It was so much that we had no school, because the snow would have made it too hard and unsafe for all the students to come to school. My host sister and I took advantage of that obviously and spent most of the day outside, being in the snow, making a snowman. In the following days it snowed more and more and it got colder with each day. Two weeks after the first snowday my host sister and I woke up and heard the sentense, which all students like to hear: "You have no school today" On this day it was -19 degrees cold outside and a storm was expected to come, so the school board decided to not have us go to school, again. We spent the day at home drinking hot chocolate and watching a christmas movie to get into the christmas mood. 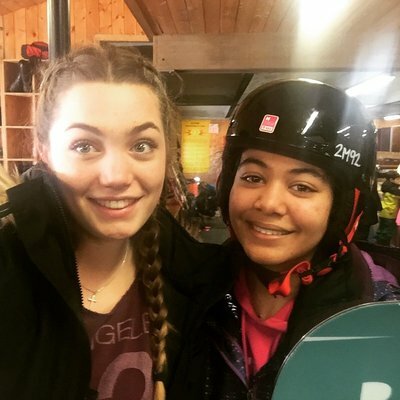 I never have had snowdays before, in Germany and I really liked it, I mean who wouldn't ? I have always loved snow and how everything looks so pretty with freshly fallen snow that's why I really enjoyed it. I never had this much snow at home, just when I would go somewhere on holidays so I was really excited to have a lot snow. since I never really decorated my house in Germany for Christmas. I was really surprised about how many people change thier gardens to little "winter wonderands" with lights, Santas, Reindeers and ornaments and I enjoyed looking at all the houses when it got dark and everyone turned on the lights. Christmas isn't Christmas without the tree, so we went to our neighbour's tree farm, cut a tree and decorated it with many nice little ornaments. My host mother could tell us something to every ornament, either from who she got it from, from where it is or when she made them herself, which was really nice because almost every ornament on the tree had a little story. Now that our home looked prepared for Christmas it was about us to get into the christmas mood. 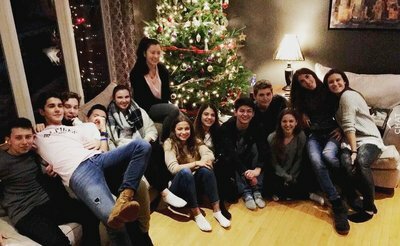 We watched a lot of christmas movies with hot chocolate and blankets on the couch, baked four kinds of cookies and went to christmas parties. On Christmas Eve we didn't do much, because my host mother had to work unfortunately, so we stayed at home, watched movies and put all of our presents under the tree, whilst our hostfather prepared the dinner for the next day. On Christmas Morning we had a little gift giving over at our host mom's mothers house and went to our house afterwards to open our presents there. It was a lot of fun and my host sister and I got so many great presents. My host parents' daughter came over with her partner and son, later that day. 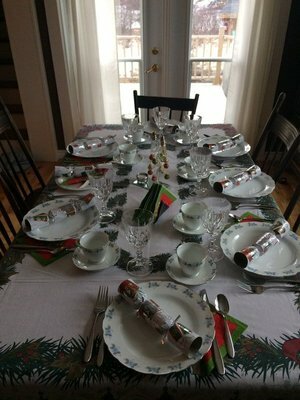 We had our Christmas Dinner on the 26th with crackers and a big turkey with stuffing, carrots, peas, mashed potatoes and more, ate until we were totally full and just had a little bit of family time, just how the christmas time is supposed to be. 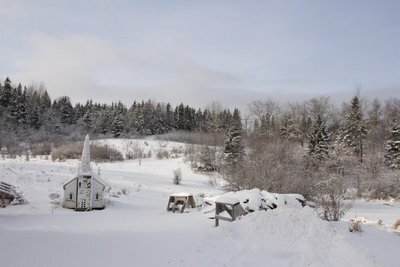 Now Canadian Christmas has become one of my many "Nova Scotia memories". I am trying to push away the thought, that I have to leave in some days. A belated Merry Christmas from me, I hope you had some nice days that you spent with your loved ones. 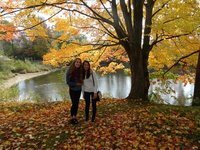 Hi, I’m Sera and this is my fourth month in Canada. December was a busy month. I did a lot of Christmas shopping, and had a lot of activities going on. 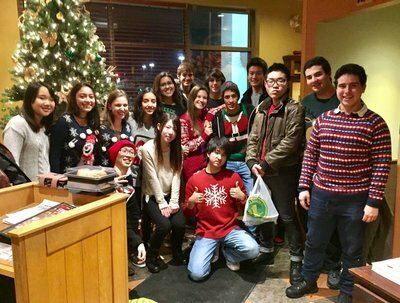 We had a Christmas Party with the international students. Everyone had to bring food. It was great. I got to try different food from all around the world. We also had to bring a small present to put it under the tree. Thanks for my coordinator, and the ambassador students it was a wonderful day. 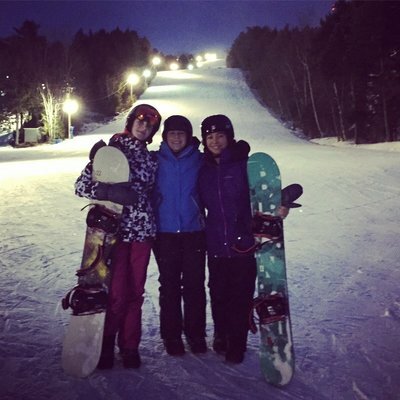 This month I snowboarded for the first time!! I’ll be honest, it is really hard and I’m still trying to stop. But it is fun. I’m working on the bunny hill, and I think I’ll be on the big hill in a few weeks. My host sisters and my friends are helping me a lot. Christmas was amazing. We didn’t get a white Christmas like I was hoping but I really had fun. I had parcels from back home. My friends and my host family bought me presents, and I thought Santa had actually came!. We opened the presents first, and then we had a Christmas breakfast. It was delicious. We played card games and listened to Christmas songs. Later on, we had our famous Christmas supper. Of course there was turkey, stuffing, and some vegetables. I had fun that day. We are still trying to finish the turkey though!. I don’t remember how many times I went to the mall to buy presents but it was worth it. Whenever we go out when it’s dark, we could see pretty lights everywhere. I can say that Canadians really like decorating their houses with lights. The lights are still out. I also had a surprise this month,when I was at the ski hill. I saw one of my friends that I met at the camp. She is a foreign correspondent too!! And was great to see her again. This month was amazing! I didn’t realize how the time passed by. I remember my days, counting days to come here and now it’s been four months and I only have six months left!! It is unbelievable how quick a place can feel like home even though it is not your own house. You can tell what home really means. A place where you have people who love you and people you love, people you feel comfortable with and feel safe. This is what my host family became for me. But let me tell you a bit about this month, what I did and how things are going. One of the Highlights this month. In the first weekend of this month we went to Hal-Con. I'ts a Halifax version of the Comic-Con and it was amazing!! I didn't even entered the huge conference room and I saw all those strangers, dressed like people you know! Shaking Darth Vaders hand, taking pictures with Pikachu, and have a small talk with Hagrid from Harry Potter. That's the moment you know you're at the Hal-Con. Hundreds of people dressed like heroes from Comics, Movies and TV shows. But that's not all. Merchandise! Lots and Lots of Merchandise!!! 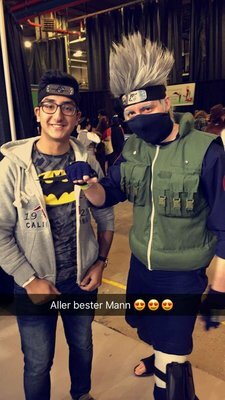 I was able to take a picture with my Hero from the Anime 'Naruto'. School's going great. It didn't take me long to get into the new school, new people and the new system. Thanks to the people!! I have five different classes in school: English, Drama, Math, Agriculture and Physical Activities. 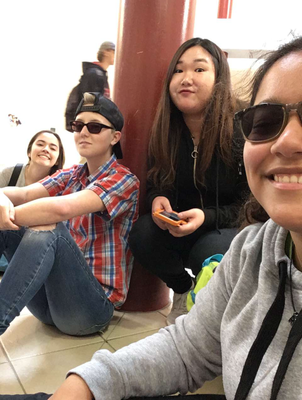 Physical Activities and Drama are absolutely my favourite classes. In Drama we are working on plays and musicals we're gonna present and that is so much fun. 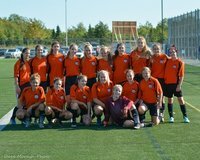 Our soccer season ended this month because we lost the finals of our league but we did something we're really proud of. The soccer team of our school has never been so far in the history of this school and we are happy about this achievement! But this is not the only achievement you can get by joining a sports team in your school. This is the best way to get to meet new people and becoming friends. I can tell!! 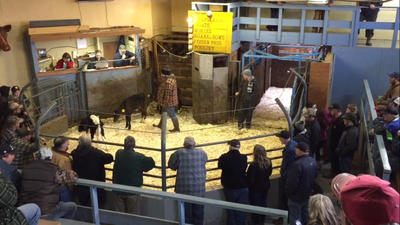 We also went to an auction house with our Agriculture class and it was the first time I went to one. It was fun but I felt kinda sorry for all the animals. Three months are definitely not enough to get to know the whole culture. But I know a lot already. 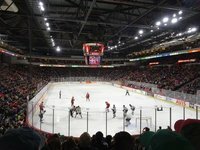 In this month I actually saw my first Hockey Game ever. And I can say one thing. It is intense!!!! I don't care what people say about Canadian and Hockey but I can tell they love their national sport. And it was actually so much fun watching the game. 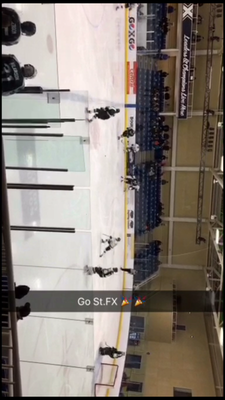 We went to Antigonish to see a game between the team of St.FX and a team of PEI. 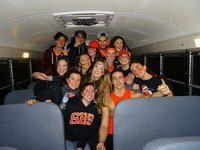 We went for St.FX and they actually won. 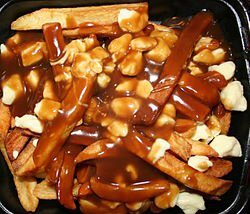 Another thing what Canadian love is Poutine. No, it's not the President of Russia. It's French Fries but instead of eating it with ketchup, it's with cheese and gravy. And it is delicious! Hey guys, in this blog I am going to tell you all about my amazing experiences from the past few months! Enjoy. “Time flies when you are having fun!’’ Well believe me that is the truth! 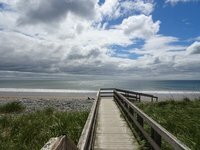 I am Michal and I’ve already spent more than 3 months in Nova Scotia. It is unbelievable how fast the time goes. The past few months were really amazing. 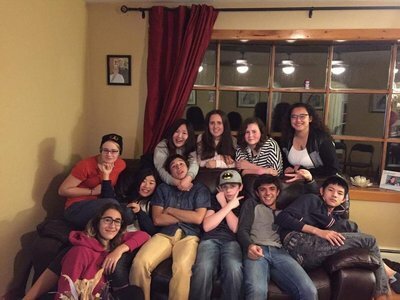 I became part of a great family, made friends from all over the world and experienced the Canadian culture. I am going to tell you about some of my experiences! I really enjoy going to school. 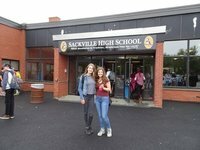 I am going to Sackville High school and I am in grade 12. My four classes are: English, Leadership, Global Geography and Physical Education. In English we learn a lot about the English literature which is really interesting. Leadership is one of my favorite classes. In this class we learn all about how to be a good leader. We are often presenting speeches and presentations to our classmates. Our class also organizes events like talents shows, fundraisers and sport games in the school. In Global Geography we learn about the earth, humans and nature. I am glad I took Physical Education, this way I have the opportunity to try a lot of new sports like: football, basketball, tennis, badminton and a lot more! All the teachers and students are very nice, they are always there for you if you need any extra help. 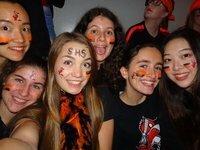 My friends and I really enjoy joining school activities. 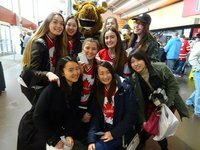 We often support and cheer at the Ice Hockey games. We are having a lot of fun at the school dances. We also went to the Mascot Showdown, to support our school dance team while they were battling against other schools. In the beginning of the semester I joined the girls soccer team at our school. 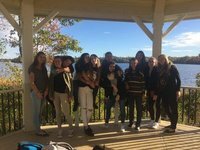 Playing soccer was new to me but the girls from my team and the coaches helped and supported me a lot. I had a great time playing soccer. This soccer season was a lot of fun. I even scored a few goals! We ended our season by going out for supper with our team and coaches. Together with some friends I also joined the yoga club after school for a few times. 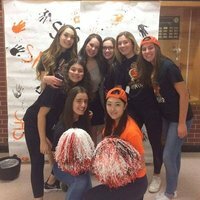 I really recommend to join a sport team or club in your school, in this way you get involved with a lot of fun things in the school! Since I came to Canada I’ve made friends from all over the world. 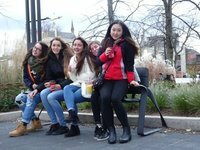 I became friends with International and Canadian students. Together we always make a lot of fun plans to make sure that we explore a lot of Nova Scotia. We like going to Halifax, going to the Shopping Mall or Waterfront. We also often go out for supper together. 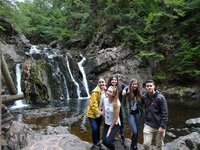 Some other activities that we like to do are: watching Ice Hockey games, going to the movies, play pool, go for a hike in the beautiful nature of Nova Scotia, drink something at Tim Horton’s, joining local activities and so many more! I am really happy and thankful that I met so many amazing people! I love being part of a Canadian family. We are all very glad that we had the chance to meet and getting to know each other. My family and I spent a lot of time together doing fun activities, celebrating holidays and learning about each other cultures. 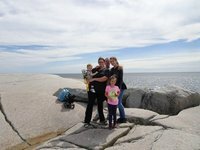 We went to Peggy’s Cove, to the cottage and playgrounds. In the fall we went to the Fall Fair, which was a lot of fun. 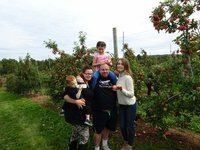 We also went to a corn maze and we picked a lot of apples. We went to the Christmas Craft Show, picked and decorated our Christmas tree. 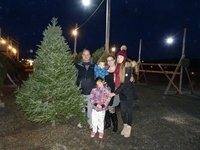 We watched the Parade of Lights in Halifax and we went to the Sackville Christmas Lighting Tree. We already made so many amazing memories together, I can’t wait for more to come! 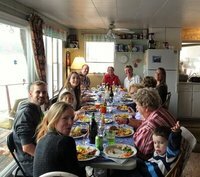 Again, I am so thankful that I became part of my Canadian family, I am sure that we will have a special bound for the rest of our lives! Since I came to Canada I’ve had a chance to experience all kind of new Canadian traditions and Holidays. It was my first time celebrating Thanksgiving. 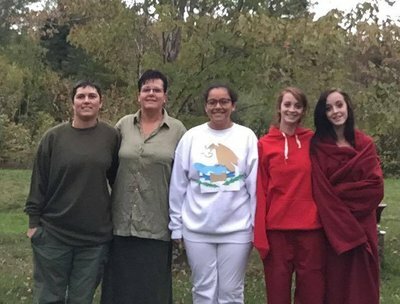 In October my family and I came together to enjoy each other’s company. The first day of thanksgiving weekend we came together with Tiffany’s (my host mom) family. At thanksgiving day we were spending time with Marks (my host dad) family. Both days were really good and we had a lot of fun. We also ate a lot of good food, including a : Turkey dinner! Halloween was also a new holiday to me. My host family and I decorated our house with all kinds of Halloween decorations. 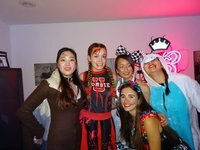 In the weekend of Halloween we had a ‘kids’ Halloween party at our home. 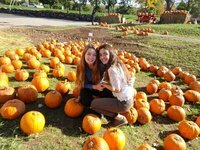 The kids played all kinds of games, they carved pumpkins and we ate good food. I also had another party with the International students and our Buddies. We had a really good time together. On October 31st was Halloween. In the beginning of the night I went Trick or Treating with my family and later on in the night I went with my friends. 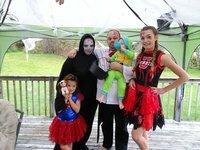 It was so much fun and we got so much candy! It is so great to learn more about the Canadian culture. 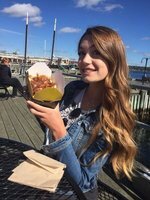 Trying new food like poutine, donair and beavertails. Ordering my favorite coffee and snacks at Tim Horton’s. Watching big Ice Hockey games in Halifax. Exploring the beautiful nature. 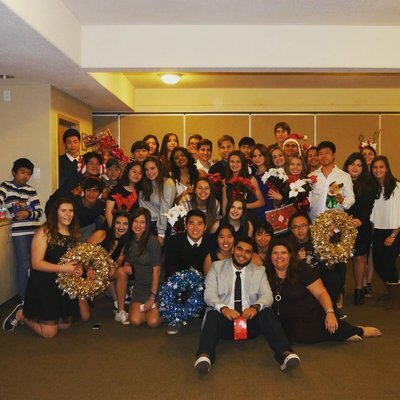 Experiencing the holidays and traditions and so much more. 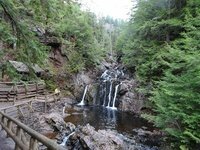 I love Canada and I really can say that Canada has become my second home! Thankyou for reading my blog! 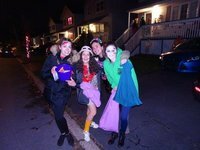 I also post weekly pictures on our Instagram: nsispfc and Facebook: Nova Scotia International Student Program. Make sure you also check out my videos and the videos from the other Foreign Correspondents at our YouTube channel: NSISP Foreign Correspondents. 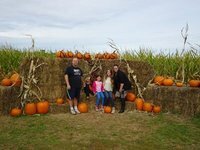 Fun family activities in October! 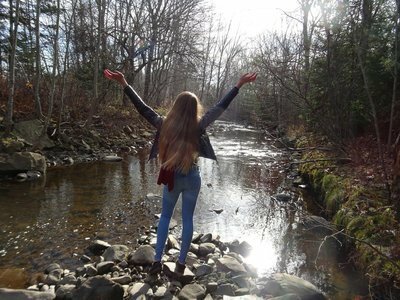 Hola, mi nombre es Rosa, tengo 17 años y quiero compartir mi experincia viviendo en Canadá, este post es para dar las gracias. 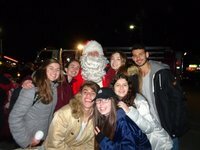 Es difícil de explicar como me estoy sintiendo, no puedo creer que ya son 100 días, quisiera dedicar este post a todas las personas que he conocido y está siendo parte de esta hermosa experiencia. 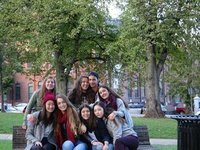 Quiero empezar con todo el equipo de NSISP, en especial Mike, Monica, Paul, Lisa y Lacy, gracias por todas las actividades que hemos realizado, toda la ayuda que me han brindado y por hacer que todo esto pase. 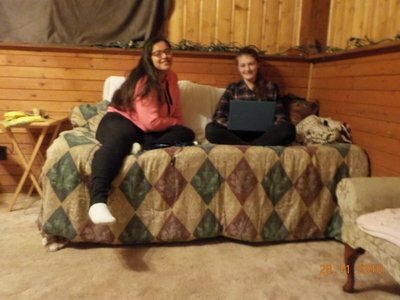 Gracias Val y Sheldon por recibirme en su casa por una semana, fue un placer conocerlos y ser parte su familia, estoy muy feliz de poder verlos otra vez y que Ga-yeon y Tina están pasandola bien viviendo con ustedes. Gracias Laura Lee y Theresa por dejarme ser parte de su familia, estoy pasandola increible. Gracias a las chicas por tratarme como una hermana, todos ustedes son mi familia. Quiero gradecer enormemente a todos en SCA por dejarme ser parte de los lobos. 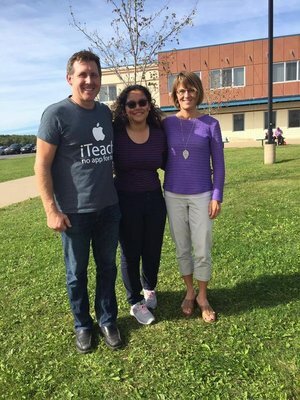 Mrs. Bruce (Directora), Mr. Miller y Mrs. O'Leary (Subdirectores) por siempre ser amables, por siempre hablar conmigo, responder todas mis preguntas (yo sé que son demasiadas), gracias por compartir sus opiniones conmigo, gracias por hacerme sentir parte de SCA. Mrs. Karen, gracias por platicar conmigo todas las mañanas y asegurarse que todas mis preguntas sean respondidas. Ms. Lever gracias por siempre hablar conmigo cuando lo necesito, por siempre preocuparse por mi y ayudarme a encontrar una solución a todos mis problemas. Mrs. Whitty, Mrs. Shea, Mr. Adams y Mrs. Williams, gracias por ser mis maestros, por ayudarme cada vez que estoy teniendo problemas con algo. Gracias por preocuparse y asegurarse de que estoy entendiendo todo. Todos los estudiantes internacionales, gracias por ser mis amigos, por aguantar mis buen y mal humor. Gracias por cada segundo que pasamos juntos y todos los recuerdos que hicimos. Todos ustedes viven en mi corazón, son mi familia. Sin ustedes esta aventura no sería lo mismo. Los quiero mucho chicos. Gracias a todos los embajadores por planear actividades para nosotros y asegurarse de que pasemos un buen rato. 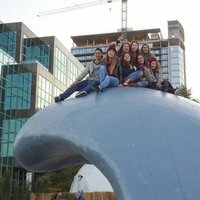 Todos los estudiantes canadienses, gracias por hacerme sentir parte de SCA, en espacial; Maggie, gracias por se más que una embajadora, gracias por ser una amigo, estoy muy feliz de ser mejor que tu en ajedrez (en realidad no); Julia, gracaias por ser más que una embajadora, gracias por hacerme parte de tu familia, eres como mi hermana, gracias por soportar todos mis problemas incluso cuando tu tienes los tuyos, estoy muy feliz de tener como amiga, siempre vas a contar conmigo y gracias a tu familia por hacerme parte de ella; Rain, gracias por ayudarme en geografía y por encontrar la moneda del 2016, estoy pasandola increible contigo en el club de ajedrez; Kage, gracias por ser tonto conmigo sin importarte lo que los demás piensen; Christina, gracias por soportar toda mi rareza; Anna, gracias por siempre hacerme reír aunque a veces me vuelvas loca; Shelby; gracias por siempre preocuparte sobre como me siento; y Emily, gracias por ser rara conmigo, gracias por guardar mi secreto (Soy una princesa pero ella es la única que sabe la verdad sobre como mis papás me estan escondiendo en Canadá, bueno ahora todos saben pero por favor guarden mi secreto JAJA), gracias por hacer mis días mejores cuando cantas, gracias por ser mi amiga y puedes contar conmigo. LOS QUIERO. November - being really Canadian!